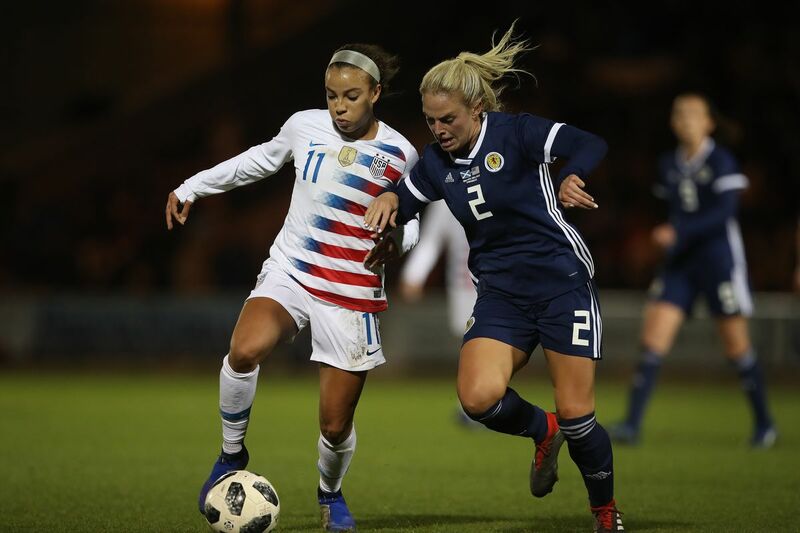 The Scotland Women’s National Team were beaten but far from disgraced by World Champions USA at St Mirren’s Simple Digital Arena in an international friendly on Tuesday night. Alex Morgan’s goal after 39 minutes was enough for the Americans to beat the Scots who were still on a high after qualifying for their first World Cup. The hosts began brightly and went close early on when Erin Cuthbert’s free kick was almost turned home by Claire Emslie at the back post but she couldn’t force the ball over the line and it was cleared for a corner. From the resulting set piece, Jane Ross had a chance but she could only header Caroline Weir’s delivery over the bar. The American’s began to come into the game and had a chance when Crystal Dunn went on a surging run before finding Morgan who laid off Mallory Pugh but she could only scuff her shot wide. It became a bit of a midfield battle for the next part of the half with a Morgan cross that deflected behind off Jenny Beattie about all that happened until the half hour mark. A Cuthbert corner soon after that missed everyone before being hooked off the line by Morgan as Scotland threatened again. With six minutes to go until half time though, USA took the lead. A great delivery by Pugh found Morgan who caught the ball on the volley to send it flying past Lee Alexander. The World champions began to show their class after half time and almost doubled their lead when Julie Ertz’s deflected shot was pushed away by sub keeper Shannon Lynn. 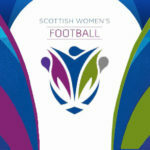 Ross had a chance for Scotland when she was picked out by Fiona Brown but her header was straight at Ashlyn Harris. USA were then awarded a penalty when Kirsty Smith bundled over Mallory Pugh in the area but Carli Lloyd smashed the spot kick off the crossbar. Lloyd had another chance soon after but she sent the ball high and wide before she set up Morgan who could only hit the side netting. 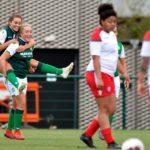 Scotland’s best chance of the match came with ten minutes remaining when Christie Murray lobbed the ball over the away defence to fellow substitute Lana Clelland but the Fiorentina forward didn’t realise quite how much time she had and instead shot early but her volley was pushed wide by Harris in the US goal. 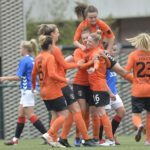 Despite the defeat, boss Shelley Kerr and her players can be proud of a year which has seen them reach the World Cup for the first time and attract a record attendance of 4,098 fans for their crucial qualifying clash with Switzerland in August.